There are many ways to create a budget and track your spending. The only “right” way is the way that works for you. This is a short list of some ways you can track your spending and create a budget. Creating your own method of tracking and categorizing your spending and then creating a budget can give you a much better understanding of your situation. It takes a bit of time and is not the easiest way by far, but it is free and keeps all of your information private. You simply create categories for all of your expenses, track them manually, and then create or update your budget as your situation changes. If you don’t have the discipline to track all of your expenses and continue to update the spreadsheet, then I don’t recommend you try this method. Quicken has been the standard personal money management software for quite some time, but many competitors are emerging and offering better products. Quicken can import data from your financial institutions, track your spending and help you create a budget, and offers various reports so you can get a better picture of your financial situation. Quicken Online is currently free (but that could change), so if you’re comfortable storing all of your login information online in one spot you might want to check it out. If you want an alternative that keeps all your information on your computer, you can try Quicken Deluxe for $59.99. (You might be able to find a better deal elsewhere online, so shop around!) My own personal experience with Quicken Deluxe wasn’t especially great. It takes a while to set it up and you’ll have to get familiar with how the program works. However, if you need a way to automatically track your spending it may be worth the initial effort. Mint is a free, online money management program that can pull together all of your bank, credit union, and credit card data to help you track your spending and budget for your expenses. To get all that information in one place, you’ll have to give them your user names and passwords. While Mint uses the same kind of data encryption as your bank, I’m still very wary of putting all of my financial information in one place online. If that data were ever compromised, you’d have to change the information on all your accounts to protect yourself. I just don’t feel comfortable with that possibility, so I would never use an online system like this. Also, Mint’s computer algorithms look at your spending patterns to offer you specific deals through their sponsors so you may or may not be comfortable with that. 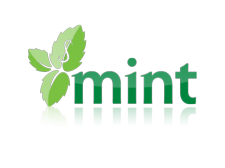 However, I have read great things about Mint, so I thought I should include it here. Mvelopes is another online money management program that has received good reviews around the web. You get a free 30 day trial, but after that it will cost you anywhere from $7.90/month to $13.20/month depending on the membership period you select. Like Mint, Mvelopes gathers data from your bank, credit union, and credit card accounts to help you track your spending and create a budget. Again, I personally wouldn’t feel comfortable with having all of my account logins stored in one place regardless of the encryption and security used. But if you’re comfortable with it, Mvelopes might be another easy way to start tracking your spending and keeping a budget. Personally, I just use a Google Docs Spreadsheet to create a budget so I can have an idea of what my spending should look like. Every so often, I check over different categories to make sure I’m not overspending. However, I don’t really track my spending closely because I have my spending well under control, my savings is automatic, my bills are on auto-pay, and I have a sizable emergency fund. Unless all of those apply to you, I recommend you track your spending. The Spreadsheet method also isn’t for those who don’t have the discipline to dig in and do most of the dirty work themselves (as opposed to a computer program doing the grunt work for you). Here’s a template of the Google Spreadsheet I use. You can save a copy for yourself if you have a Google account and use their “Save” feature under the “File” menu. You should be able to save a copy to your computer, too. You’ll have to edit it for your own situation, as I can’t list every possible expense category a person might have. There are many other ways you can track your spending and create a budget. I didn’t even mention You Need a Budget or PearBudget. You can also do variations on any of these methods. For example, for the paper & pencil method you could use envelopes to split up your money and make sure you don’t overspend. What are some other methods you use to track your spending or maintain a budget? Leave your tips in the comments! FYI – Quicken Online is no longer free. They had a free trial period and are closing that soon. After that, standard rates will apply….. I completely agree with you. Maybe I’m paranoid, but I’m never going to have all my data compromised at one time either. I’ll update the post to reflect the change for Quicken Online. Thanks for the heads up!